Grab a perfect beach read and contribute to a great cause at the same time. 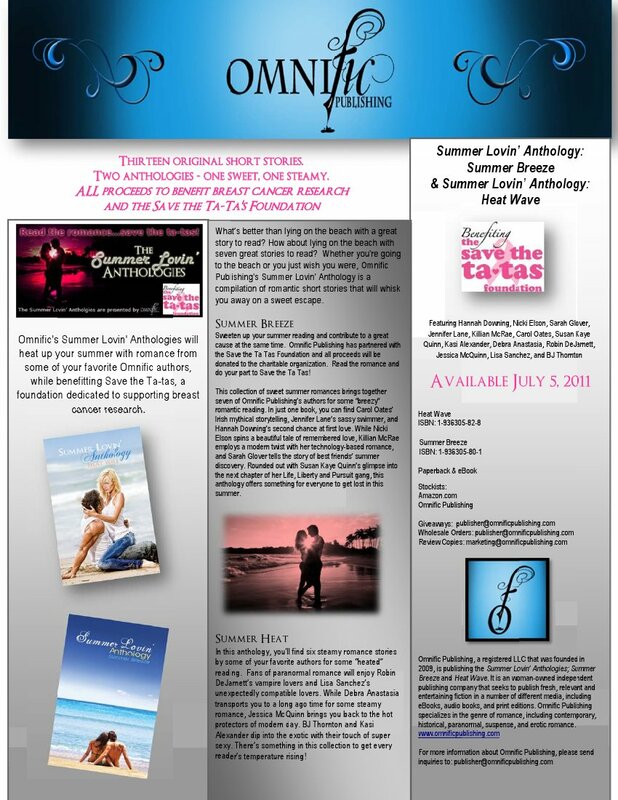 Omnific Publishing has partnered with the Save the Ta-Tas Foundation and all proceeds will be donated to the charitable organization. Read the romance and do your part to Save the Ta-Tas. Within Summer Breeze, a lovely collection of summer romances, you'll find a short story I wrote in memory of my times in Maine. The story, Whatever It Takes, was inspired by a photo of a young Aaron Eckhart, a killer bottle of chardonnay, and the Westminster Dog Show. Intrigued, grab a copy. It's for a very worthwhile cause.